As it often happen when we update the image something goes wrong and our image is broken. If it was in superclient, we can just cancel the update. But what happens if main image gets corrupt. 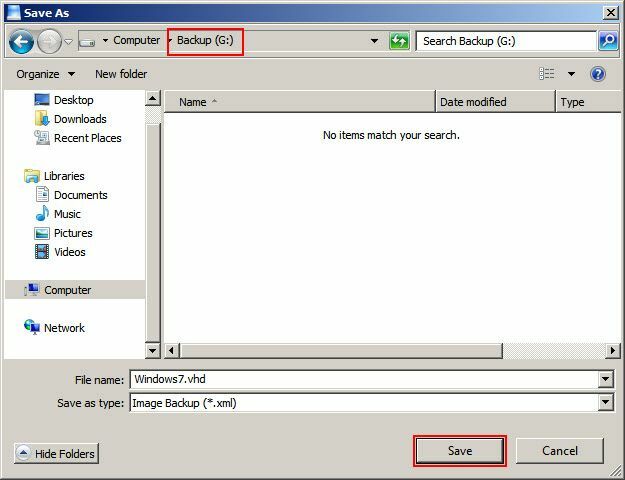 Lets make backup of your image using restore function in the Disk Recovery dialog box..
As an example, we are making backup of image "E:\Windows7.vhd" to another drive "Backup (G:)". 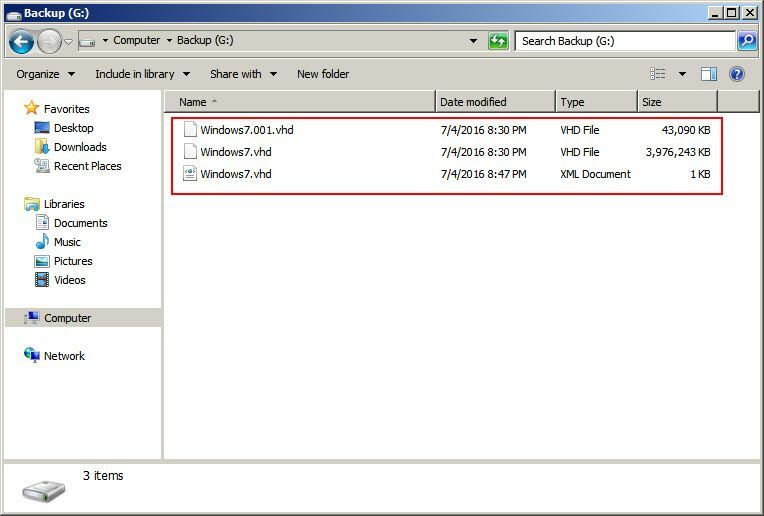 1) On the main interface of the CCBoot, click the "Client Manager", and then in the detailed pane on the right side, right-click the image, and click to select the "Disk Recovery" (Figure 1). 3) It will open “Save As” dialog box, browse to the location you want to export the image and click “Save” button (Figure 3). Note: The export function exports the main image as well along with the recovery points and creates a “.xml” file in the exported folder/disk. 5) Once the export is complete a dialog box opens, simply click “OK” to close it. 6) Now, go to the export folder/disk and make a copy of the files in it (Figure 5). Note: As seen above, Windows7.vhd is the main image and the Windows7.001.vhd is recovery point and the Windows7.vhd.xml file has information regarding the recovery point. 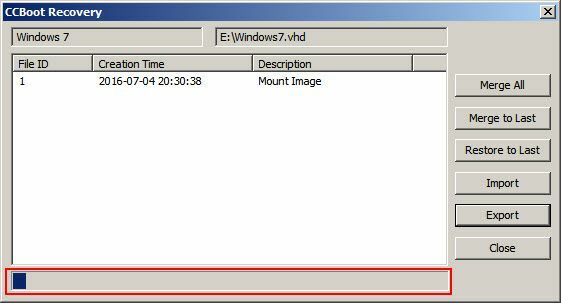 Note: Do Not delete the Windows7.vhd.xml file as it is required import the image back to the CCBoot. 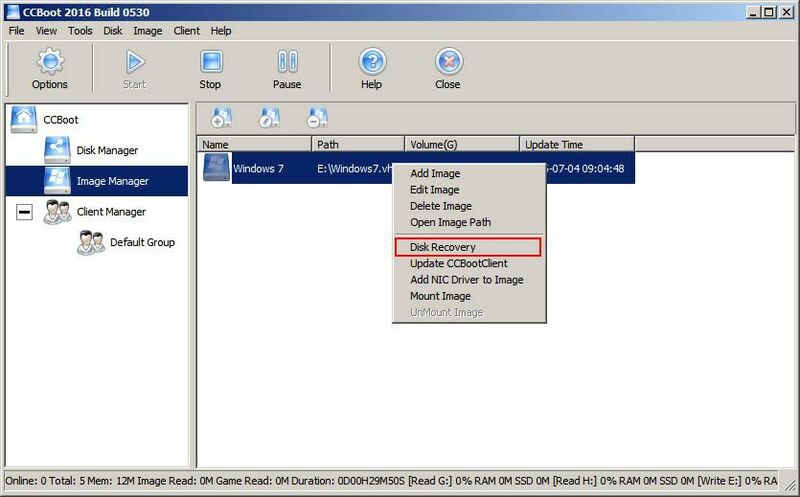 Note: If you dont have any recovery point for the image then simply, make a copy of your primary image (Eg. Windows7.vhd) to somewhere save.